This is one of those books I feel like I should try a second time. I tried reading it once and utterly failed only 10 or 15 pages in. You’ve convinced me to add this book to my to-read list! I loved this book too. It kept me guessing what Mia’s choice would be until the very last page. I’ve been meaning to read this for ages – thank you for reminding me of it. It sounds moving and very difficult to put down. 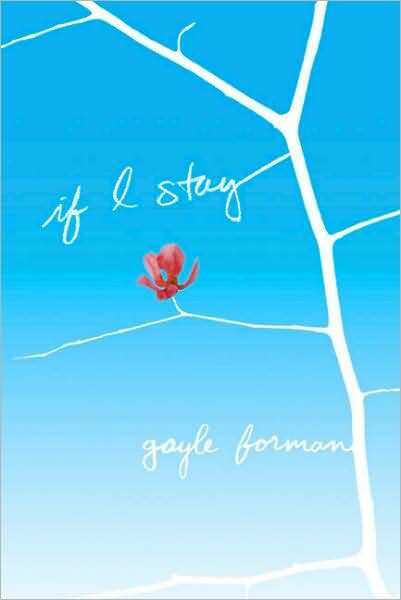 Was this book horribly sad? It sounds horribly sad. Or at least, very emotionally difficult. Not that I have issues with sad, but I do like to know going in. A very intriguing premise, though, I must say. There were parts I couldn’t stop crying when I read this book – but I think I was missing my family at that time (I live in a different country from them and hadn’t seen them for 5 years) so part of the story really spoke to me. I don’t mind sad books though, most of the time I like them better than happy books! This sounds like a good book.. I will add it to my wish list. I don’t read a lot of YA, but this does sound good – great review. I’ve been back and forth about reading this one. It sounds fantastic, but also very sad. It also sounds really very good, so I think I’ll give it another go. Thanks! Yep, it’s on my list! Thank you for the great review Stephanie. I loved this book too, and I actually liked Mia’s parents and really enjoyed the musical aspects of the story. Lovely review! Sounds like a complicated plot that’s worth reading! This is one of those that is on my TBR(soon) pile… I didn’t realize the storyline was so much about her deciding what to do… I thought it was more like she’s already dying and can hear everything going on around her. Sounds really intriguing!! Now I want to pick it up even more!! I really liked this YA out of the ones I’d been reading. Since I read this last year and before I blogged, I don’t quite remember the details. But now that you mentioned it, her parents were quite atypical. I think she’s working on a sequel or companion book, written from the boyfriend’s perspective, called Where She Went, to be released in 2011 according to my notes. I haven’t read this one yet, but I recently read Before I Fall which has (kind of) a similar premise, and I couldn’t put it down.